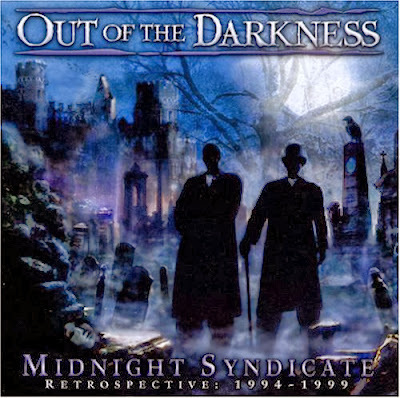 Discussions Magazine Music Blog: An EXCLUSIVE Interview with MIDNIGHT SYNDICATE! 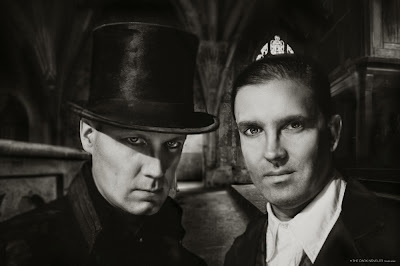 An EXCLUSIVE Interview with MIDNIGHT SYNDICATE! Long before Heavy Metal riffs became the unofficial background music to Horror films, there were actually quite a few composers who would create haunting, atmospheric scores to the wonderful fright-filled films that previous generations grew up with. Hans J. Salter, Frank Skinner, Franz Waxman, James Bernard, Bernard Herrmann, John Carpenter, Goblin and many others are responsible for the moody ‘feel’ of the classic Horror movies via their oft-overlooked scores, which were just as important as the images projected on the screen. And oddly enough, while he was not a film composer, British guitarist Mike Oldfield’s Prog Rock classic “Tubular Bells” has become one of Horror’s most familiar melodies thanks to its use in the ground-breaking film The Exorcist. Over the years, movies have become more violent and gory, which has eventually led to more aggressive, Metal-fueled soundtracks that enhance the violence that is happening on screen. Though the best-remembered Horror/Suspense soundtracks consist of pre-existing recordings from Metal/Industrial artists, there are modern composers who do understand the concept of suspense, atmosphere, emotion and fear – Danny Elfman immediately springs to mind. Even Bear McReary is doing a great job with his music for AMC’s The Walking Dead. For those of you longing for music that encapsulates the thrills of horror and suspense, then look no further than Midnight Syndicate. While the duo - Edward Douglas and Gavin Goszka – aren’t technically film composers, they have created a body of work that equals any modern writer of horror soundtracks. But just who are Midnight Syndicate? Since 1997, they have released a series of albums that are, essentially, soundtracks without movies. To go one step further, they create soundtracks to YOUR nightmares. Each album is built around a theme and the duo manages to tell a story using their imagination and musical skills. Their music embraces the dark world of horror, but does it with class and style. Theirs is a dark, ominous sound that evokes images of creatures of the night, thick walls of fog, ominous cemeteries, long dark hallways in vacant mansions and cold chills that seem to walk past you in a still room. Midnight Syndicate does not use sound effects liberally, so most of the goosebumps and chills that you encounter during your listening experience are the direct results of the mood-enhancing music. So, when you throw on a Midnight Syndicate album in the middle of the night, you won’t want to be alone… In short, Midnight Syndicate are quite brilliant at what they do. 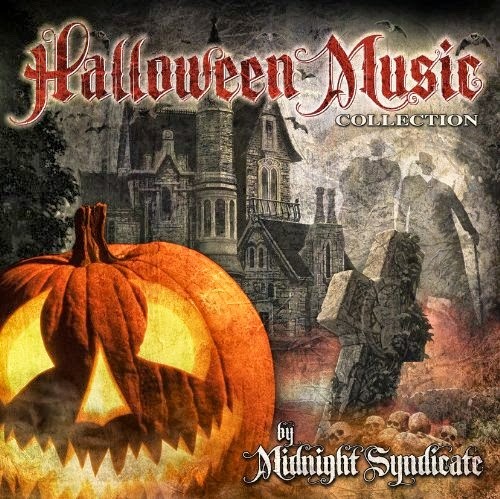 Midnight Syndicate’s music has been used by many of the biggest haunted attractions across the U.S. for over 15 years. In that time, they’ve turned the Halloween Music market into something far more exciting. 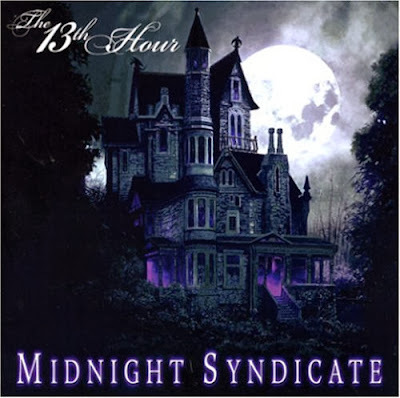 No longer are the racks filled with CDs that only contain the sounds of witches cackling, ghosts moaning, werewolves howling and victims screaming… Midnight Syndicate have kickstarted a whole new music movement that continues to gain more and more interest with each passing year. 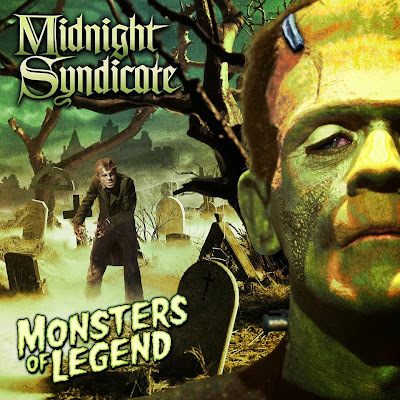 They just released their latest opus, Monsters Of Legend, which is filled with original music that sounds like it was lifted directly off the soundtracks of the classic Universal Horror films of the ‘30s, ‘40s and ‘50s. And to top it all off, they are in the midst of a Kickstarter campaign that will help fund the very first Midnight Syndicate LIVE experience. SPAZ: Halloween is coming, you’ve got an amazing back catalog that is absolutely perfect for this occasion and you’ve got a special Kickstarter project happening at this very moment. How are you feeling about things right about now? ED DOUGLAS: Really excited. This is always my favorite time of the year! We just released our Monsters of Legend CD a month or so ago. It’s our tribute to the classic Universal horror and Hammer horror films. The response has been great. We utilized original Universal Studios production stills (like “Bride of Frankenstein” “Werewolf of London,” and “Dracula”) for the packaging so when you look at it, it has that classic Halloween, horror feel. When you listen to it, hopefully the music and sounds transport you back to the golden age of horror. We also just launched the Kickstarter campaign to help fund our “Midnight Syndicate Live!” Halloween horror multimedia concert. It’s our biggest project to date, really exciting. We’ve been doing this for almost seventeen years now and everyone has been asking us when we were going to put together a live show. Now, with the support of the fans we’re going to take that step together. GAVIN GOSZKA: Monsters of Legend has been incredibly well-received, which is great to see. We spent a little more time on this one to make sure that we really captured the essence of what makes those classic horror monsters so memorable. Halloween is definitely my favorite time of the year as well. I’m glad our music has been able to help make the season more atmospheric for as long as it has! SPAZ: Before we discuss the Kickstarter project, let’s go back to the beginning… what inspired you to form Midnight Syndicate way back in the late ‘90s? ED: I wanted to form a band that created “soundtracks to imaginary films.” Albums that would blend instrumental music with a bit of sound effects (a la 30s radio dramas) and transport the listener to a world or movie of their own creation. I wanted to create albums that would fill your head with images and spark your imagination. Almost everything I’ve done creatively has been influenced by horror cinema, Halloween, shows like the Twilight Zone, and comics like Tales from the Crypt, so the darker, horror-theme to Midnight Syndicate was natural. SPAZ: Up to that point, recordings that were made for Halloween were pretty much filled with cackling witches, howling wolves, wind, rain, thunder, ghoulish moaning and horrified screaming. What made you think that an album of moody, atmospheric music without an abundance of the typical sound effects would connect to an audience? ED: Seventeen years ago, things were really different. Halloween music was an afterthought at best. But the thing was, Halloween was growing and so was the demand for good quality, authentically creepy atmosphere with more focus on the music. Serious Halloween enthusiasts, professional haunted houses, costume shops, even major amusement parks we’re looking for someone to get serious about making Halloween music. Don’t get me wrong, there’s nothing wrong with the Monster Mash and the older sound effects cassettes, but they were out of date. No one had taken the time to try and take things to the next level in Halloween music like bands like TSO had done with Christmas music. We saw a demand and knew it would be the perfect fit for Midnight Syndicate’s style of music and the horror themes we loved. So we went for it. When we began playing our CD for store owners, fans of Halloween, and haunted house designers, you could just see their faces light up. There was an immediate connection and an excitement that let us know that we were on to something. GAVIN: Even though we felt very strongly that our music had an audience, we weren’t expecting the reaction to be as overwhelming as it was right off the bat. It’s one thing to really believe in something and hope that you can find a connection with people, but it’s another entirely to see that connection not only happen, but happen in a way that completely exceeds your expectations. SPAZ: Was it hard at first to get your music into the hands of consumers? Has the internet been an asset in spreading the Midnight Syndicate gospel? ED: When we started out that first year, we were literally delivering CDs in our van to the various stores around Northeastern Ohio that were selling Halloween stuff. Even with sales of 1,850 that first October no labels or distributors would pick us up. The “Halloween music” and “soundtracks to imaginary films” monikers weren’t something the labels were clambering for. We ended up creating our own distribution channels, going to tradeshows and building our own network. The thing we had going for us was that we were doing something new and different, and there was nothing else like it out there. That helped encourage the stores to carry up our CDs and in turn, get our music into the hands of the consumers. When the internet came around it did change things quite a bit. It allowed us to grow our fanbase outside of Halloween time without having to be signed to a major label. It opened the doors so to speak. In today’s day and age, I think musicians are just trying to adjust to the ever-changing industry. One thing I do like about the internet is that it’s given us the opportunity to interract with our fans directly. Something we miss out on because we haven’t been able to tour so far. SPAZ: How did you come up with the name Midnight Syndicate? Do you remember any other names you were thinking of using before you settled on that? ED: I just liked the images that “Midnight” and “Syndicate” conjured. Made me think of a group of shadowy and mysterious figures meeting in some secreted chamber at the stroke of midnight. It was a good fit for what I wanted our music to convey. SPAZ: When creating the first Midnight Syndicate album, who were your main musical influences? Has that changed over time? ED: I think movie composers like Danny Elfman, John Carpenter, Jerry Goldsmith, John Williams, Hans Zimmer, James Horner, James Bernard, and artists like Black Sabbath, King Diamond, Dead Can Dance, and Sisters of Mercy have always been a big musical influence for us and still are. I listen to and enjoy a lot of new music but as far as recent musical influences I’d have to say early film composers like Max Steiner and Bernard Herrman, as well as classical composers such as Bach. SPAZ: Your albums are thematic (ie: Vampyre, Gates Of Delirium, Carnival Arcane, etc. ), yet the individual pieces work very well outside of the albums. Do you plan whatever the themes are going to be in advance or do they take shape as the recordings progress? ED: Yes, before we begin the album we decide upon the theme and then we begin delving into that world, discovering new details about it’s inhabitants, the location, etc. From there we begin writing the music. GAVIN: I think we’ll always have some specific ideas or images going in, but our goal has always been to leave a lot of the details up to our listeners’ imaginations. Sometimes a given theme will take an unexpected turn, or develop into something beyond what we originally had in mind. I think that was the case in different ways with both “Carnival Arcane” and “Monsters of Legend.” The more we dug into the history of early 20th-century carnivals while writing “Carnival Arcane,” the more fascinating characters, events, and practices we found, many of which eventually made their way into the story of that release. With “Monsters of Legend,” we started discovering our own ways of bringing the worlds of the classic creatures together and integrating them into a larger storyline. SPAZ: When you release an album, are you usually satisfied with the results? Or are you like any other musician, constantly thinking about ways you could have done something better.. or at least differently? ED: I think that’s in our nature to want to get something as good as it possibly can be. That’s one good thing about deadlines for artists. They force you to make choices! Honestly I have to say I am very happy with all of the albums we’ve released. Listening to them now, I sometimes wish we had the technology back then that we have today, but I think the “sound” of our early discs places it in another time period and that makes it kind of cool. That being said, we did take five lesser-known songs from our earliest discs and completely recreate them for the new “Monsters of Legend” CD. Taking those early songs and re-envisioning them with what we know and have available to us today studio-wise was fun. GAVIN: I agree about how the material on our older albums has withstood the test of time. As Ed mentioned, I think that any regrets we might have had along the way revolve around technology (or the lack thereof). We both tend to be very picky when it comes to deciding what tracks will appear on a given release, especially with regard to making sure that everything contributes to the overall atmosphere in an effective and meaningful way. 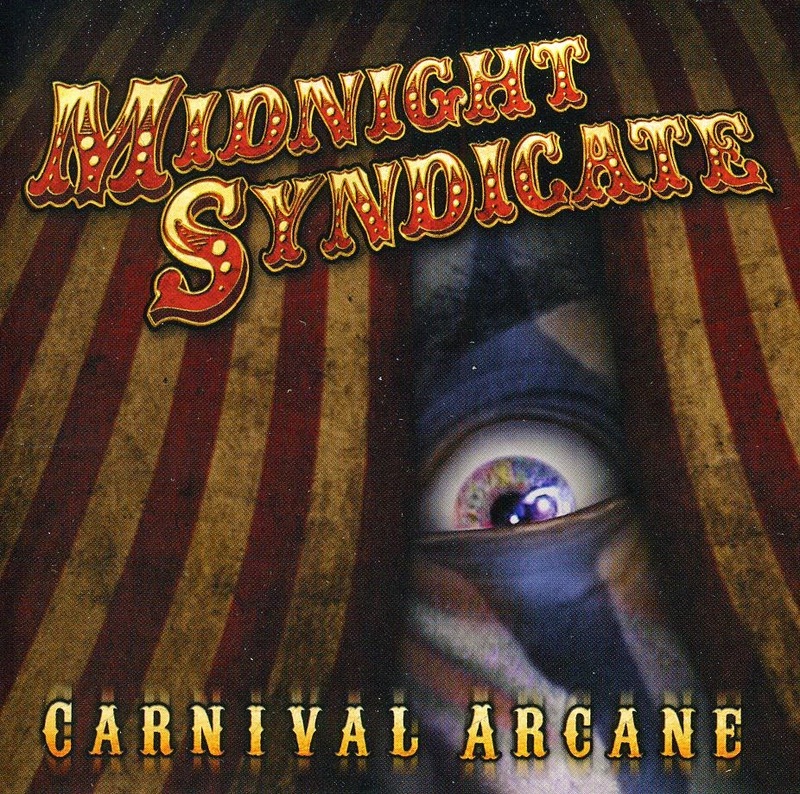 SPAZ: Do you have a particular favorite Midnight Syndicate album? If so, are there any particular reasons why you chose that one? ED: It’s tough to choose. 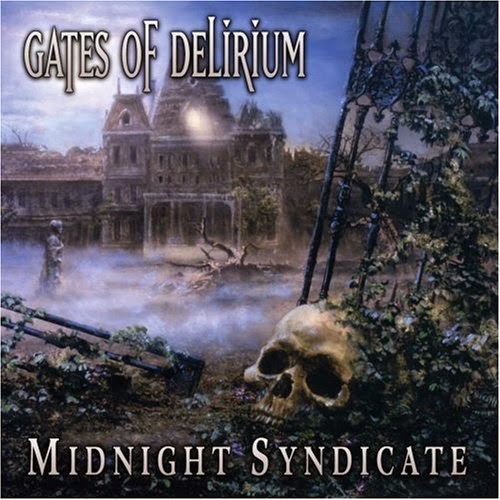 I think that Gates of Delirium, 13th Hour, and Carnival Arcane, are my favorites. I think each one marked a step forward in our “soundtracks to imaginary films” concept. The way we blended the sound effects with the music on those discs really create a tangible atmosphere... make you feel like you are there. I also liked the bigger, fuller, more classical-influenced sound we achieved on Monsters of Legend. GAVIN: I would pick Gates of Delirium, The 13th Hour, and Carnival Arcane as well, for the same reasons that Ed mentioned above. I think that each one blends the music and sound effects in a way that is particularly powerful when it comes to creating an atmosphere that truly lives and breathes. SPAZ: Midnight Syndicate’s albums are mood-enhancing affairs. What steps do you take to ensure you are focused and in the right frame of mind when you start on a project? I would think that it is not unlike an artist recording a Christmas album in June! ED: For months I immerse myself in whatever the theme of the album is. For Carnival Arcane for example I spent a lot of time researching the history of circuses, early 20th century traveling carnivals, early amusement parks and such. It really put me in the right frame of mind and supplied a lot of ideas. I also watch a lot of horror films. That’s something I do anyway year-round but I really immerse myself in them in preparation for a CD. I love that part. SPAZ: Do you purposely try to create a mystique surrounding the Midnight Syndicate project? I, for one, have never been able to picture you guys living anywhere but 1313 Mockingbird Lane! ED: Excellent. I think we’re aware of that, especially when we’re in our characters. However, we never want to be inaccessible to our fans and supporters. We try and be an active part of the community, be there to communicate with them, and support them when we can. Legions of the Night - www.legionsofthenight.com is a site we developed for just that purpose. SPAZ: Your music has been used for haunted attractions across the country. When you first started making albums, were you imagining that your music would be used in such a way? ED: Yes, when we began, there was a real need for easily-licensable, quality Halloween haunt-themed horror music from the neighborhood haunted house and larger haunted houses, to the amusement parks that run Halloween-themed weekends in October. We targeted the haunt industry from the beginning and they’ve been a big part of Midnight Syndicate since. SPAZ: Do you feel that the Gothic genre is a lazy way to describe Midnight Syndicate? I feel MS are much more than that, with a broad cinematic sound that spans several genres. Being called Gothic gets you lumped into the same category as a bunch of bands with pasty skin and jet black hair…. ED: Well I think it really depends on what you are going for. Midnight Syndicate is very influenced by classic horror. We’re all about atmosphere, suspense, and allowing your imagination to wander. That works for a lot of films and haunts. However, there are certain films and haunted houses that are going for a “real,” in your face, acoustically-intense effect. In that case, industrial and heavy metal music is perfect. It really is all about the effect you want to achieve on your audience and how you want to go about doing it. SPAZ: Have you ever considered making a soundtrack to an existing horror film and encouraging fans to throw the DVD on, turn down the volume and play your music instead? A lot of people do that with Pink Floyd’s Dark Side Of The Moon while watching The Wizard Of Oz! ED: That’s funny you mention it. A lot of people on our Facebook page have been posting that they’ve been doing that with Monsters of Legend and some of the classic horror and silent films. I think it’s a cool idea. SPAZ: Midnight Syndicate has existed since 1997 yet you’ve never played live before. Can you tell me about this little Kickstarter project you’ve got going? ED: Midnight Syndicate Live! is a uniqute Halloween horror-themed multimedia concert experience that will blend live Midnight Syndicate music, orginal films, music videos, and live theatre. To help with the visual elements that will be such a huge part of this we’re teaming up with a lot of industry vets including special effects legend Robert Kurtzman (“From Dusk Till Dawn,” KNB EFX), director/producer Gary Jones (“Xena,” “Axe Giant”), and David House Greathouse (SyFy’s Faceoff, Mushroomhead). For the past seventeen years, our fans have been asking for us to produce a live Midnight Syndicate concert. We haven’t been able to this point because, as an indie label, we just don’t have the resources needed to purchase the equipment we need to reproduce our music live and produce the original film and stage elements that will be such a huge part of this show. This Kickstarter campaign is our chance to deliver the kind of cool show our fans have been asking for while allowing them to be directly involved in making it a reality. We want to make Midnight Syndicate and Halloween music history with this show and we feel we’re in a position to do that. SPAZ: What’s next for Midnight Syndicate after the Halloween 2013? ED:The Kickstarter campaign ends November 10th. I hope to be working on Midnight Syndicate Live! on November 11th! SPAZ: What is currently spinning on your CD/DVD/record players? ED: CD = Sisters of Mercy “Floodland”, DVD = “Last Will and Testament of Rosalind Leigh” (cool ghost story), MP3 = “Ave Satani (theme to “The Omen”)” by Jerry Goldsmith, Record player = vinyl version of Monsters of Legend. GAVIN: I’ve been giving the new Nine Inch Nails disc (“Hesitation Marks”) quite a few spins in my CD player lately. DVD-wise, I went back to revisit the original “The Haunting” (1963) a few weeks ago and loved it just as much as I did the first time I saw it, as well as “The Changeling,” which I hadn’t seen before, but also loved.